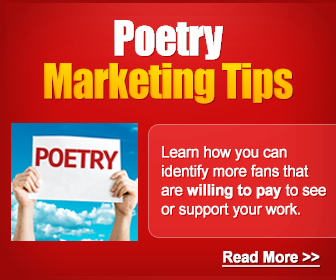 CALLING ALL POETS and POETRY WRITERS! Looking for a Manhattan $5 Poetry Open Mic with featured artists? 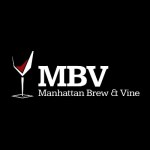 Each month, check out Open Moments NYC’s Manhattan $5 Open Mic “The Soul House Open Mic” @ Manhattan Brew & Vine. WHAT’S DIFFERENT about this month’s Soul House Open Mic? This month’s FEATURED ARTIST will be YOU! That’s right! 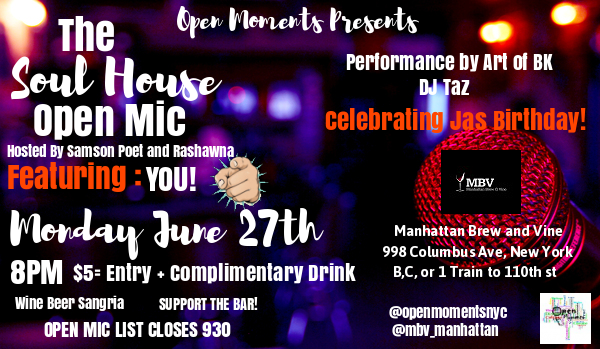 The Soul House Open Mic invites YOU to come out and be the featured artist – THIS MONTH ON Monday, June 27, 2016, 8:00pm – 11:00pm (open mic list closes @ 9:30pm). Not only will there be music, spoken word, poetry, singing, rapping, fun & laughter; at “The Soul House Open Mic” there is always a featured artist and a crowd full of art-lovers. You might even see a celebrity or two in the crowd. This month’s Soul House Open Mic is hosted by poet, singer, Rashawna and poet, Samson Poet. The Open Mic has always been a way for people to face their fear of public speaking; to open up, release their truths, and possibly find healing, if needed. The Open Moments NYC “The Soul House Open Mic” is a safe place for youth and adults to USE YOUR VOICE and to feel comfortable expressing your thoughts and feelings about things out loud. 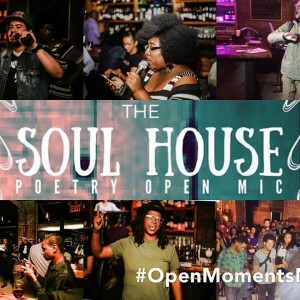 Open Moments NYC’s “The Soul House Open Mic” @ Manhattan Brew & Vine — happening EVERY 3rd TUESDAY of the Month — can be just the spot for you, each month, when you want to have a relaxing drink and want to be entertained in a comfortable atmosphere. Open Moments NYC is a grassroots organization that provides a way of expression for all ages through writing, leadership and interactive workshops. Open Moments (OM) had its humble beginnings on college campuses like, City College, Barnard College and Utica College. 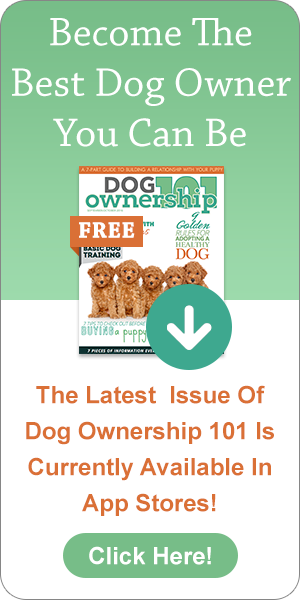 It is now, growing and taking a “Nomadic” approach, we go where they need us. We have teen workshops, Workshops with featured facilitators and thought-provoking events like, Guess Who’s Coming to Brunch? and Cadence of Hair. We also provide Open Mics to allow the people to have a platform to raise their voice and to connect the artists with the art-lovers. We serve as mentors, instructors, facilitators and performers to try and enhance human potential. The Soul House Open Mic welcomes ALL POETS, from beginner to pro, to step up, speak out and showcase your love of poetry. We also invite everyone to come out and join in on the listening and fun. This Soul House Open Mic will be a “You Feature.” First 10 Open mic-ers get to spit 2 pieces. We’ll have a special performance set from The Art of Brooklyn aka Bart Tesoriero. We will have a 50/50 raffle fundraiser for Middle School students in Brooklyn. Live music by DJ Taz. Hosted by Samson Maldonado & Rashawna Wilson. Curated by Open Moments NYC. TURN UP ON A TUESDAY (ON A MONDAY, FOR THE MONTH OF JUNE)! Call up some friends, or come alone to relax from the day. COME ON OUT and have fun spitting your pieces on the mic or just watch and enjoy spoken word, poetry, singing, and storytelling while enjoying your complimentary drink in a laid back atmosphere! TRAVEL: B, C, or 1 train to 110th St.